We're a small traditional café situated close to Aberavon beach, next to naval club. We believe in big breakfasts at small prices. Freshly cooked to your requirements. We are here to revive the tradition of a workingmans cafe. 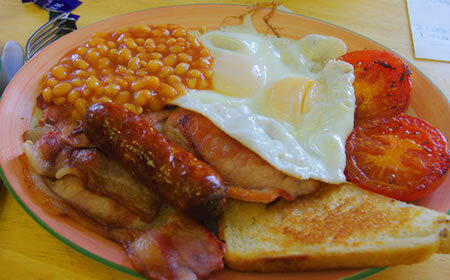 Not only do we provide a breakfast menu we offer an extensive range of home cooked meals to suit everyone's tastes. Vegetarian and other special dietary needs are catered for. Top Marks for our Food Hygiene Rating! We are delighted to announce that we have received a 5 star rating from the food standards agency! Free delivery on orders over £10. ( within 2 mile radius ). Copyright © 2019 - thepopincafe.co.uk All Rights Reserved.